Emergency services are responding after a collision on the A168 near Thirsk. Highways England reported that traffic was being held both ways while an air ambulance landed this afternoon. 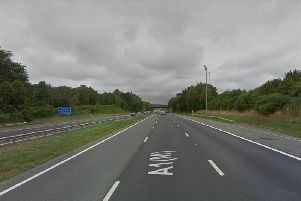 The collision happened on the southbound carriageway between the A167 and A1 motorway. In a tweet issued just before 3.30pm, the highways agency said North Yorkshire Police and the air ambulance were currently at the scene. Traffic was held in both directions for around 20 minutes before the northbound carriageway was reopened. The southbound carriageway reopened at 4.30pm.